I went on a little bunny trail today. Hadn't planned to, but found myself there and decided to follow the path for a bit. It was a worthwhile trip. Years ago, my grandparents did quite a lot of research into the family. I think it was Grandma who typed it up using their little manual typewriter, pasted in photos, and made copies for us. It was no small task -- the whole thing is around 100 pages. The best part is that it's not just a bunch of names and dates; it is filled with stories and all sorts of other reflections of the humanity of people who otherwise would have remained simply distant figures represented by names, dates, and locations. 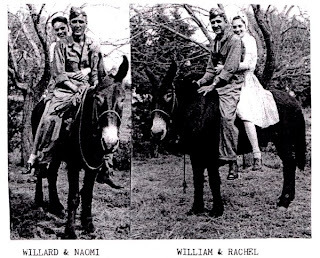 "On a mule you find two legs behind and two you'll find before. You must go behind before you find what the two behind be for." 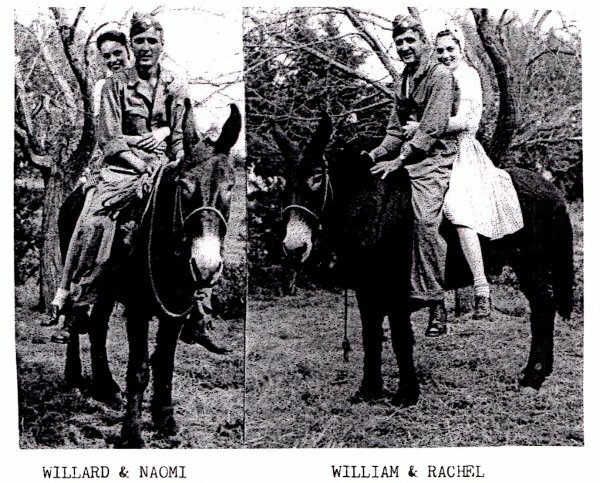 It is an old photo of people I never knew, and a rhyme about mule safety probably isn't something I'll find much practical use for in my contemporary American life. But these are far more than than an old photo and a short little rhyme. There is something deeper here, a connectedness to my own history and to broader humanity, and I am grateful.